An easy way to spruce up any sized outdoor area! It looks like the warm weather is here to stay! To revel in the fact that those nasty winter days are behind us, we’re thinking about summer gardening here in Louisville, KY. Nothing really celebrates the reality of the approaching summer season quite like planning your own backyard garden. Imagine coming home after a long day at work and taking a load off outside. With the warm summer breeze blowing, a cool drink in your hand, being able to relax out on your patio, balcony, or deck just doesn’t get much better! The scene could really only be better if you had a garden of your own to enjoy as well. For some, the thought of a personal garden can be daunting, but it can truly be pretty easy! There are numerous plants out there that are great for beginners. Don’t consider yourself to have a green thumb? No need to worry! What’s even better? You don’t need a bunch of open space either. 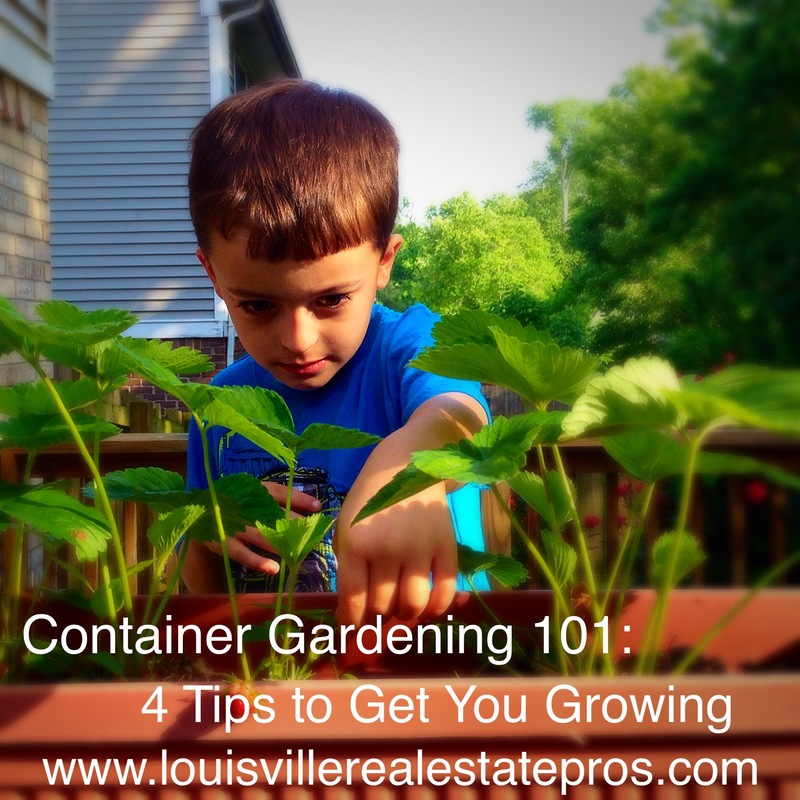 We’re talking about container gardening! Tip #1: For those who have always thought about starting a garden of their own, a simple container garden is a good place to start. They are perfect for small spaces. Maybe you live in an apartment; a few plants on your balcony can make a world of difference. Maybe you want to spruce up your backyard deck; the right arrangement of pots can change the area’s entire feel. Looking to increase your curb appeal? One of the most beneficial DIY projects when selling your home is to make your front porch more inviting. Container gardening can do just that! Tip #2: The pros of planting in containers are abundant. For one, it is a great alternative to building larger garden boxes or beds. Containers can hold flowers, leafy plants, fruits, or vegetables. Many people think that you can only grow your own produce if you have the yard space to do so. That simply isn’t true. Many food bearing plants can flourish in the right size containers. (A word of wisdom: Tomatoes and strawberries are great plants for beginners!) Another pro of container gardening is the fact that you can easily protect your sprouts from storms. Sometimes the hardest part of planting is getting the initial growth established. If you hear a big storm will be rolling through the area, just pull your pots inside. No worrying if the winds will be too harsh on your fledgling plants. Likewise, you have the ability to move your potted plants into the sunlight. Many plants survive with just a few hours or direct sunlight, but movable containers offer the flexibility to provide sunlight at any time of the day. (Pansies, Marigolds, and Geraniums are fantastic, colorful flowers that thrive in containers.) Another huge benefit of planting in pots is the endless arrangement options. Since you aren’t rooting your plants in the ground, moving them around to find the perfect place is no problem at all. Playing with different colors and mixtures of container types is all part of the fun! Tip #3: When choosing the right vessel in which to place your plants, size does matter. It’s best to leave space for development. If you want to start your sprouts in smaller pots, just be sure to increase the container size as the plants grow. Planting in a container that is too small will inhibit potential for beautiful growth! The wonderful part of this is that you can continue to recycle and reuse your containers. A mix of various pot sizes just increases the beauty of your container garden. When it comes to choosing the actual containers, use your imagination. Almost anything can work in this area. If you want to keep it easy, go for the familiar terra cotta pots. (Similar looking plastic pots work just as well.) If you want to step out of the box a bit, try using a wicker basket. Local thrift stores are full of these gems. (We found a bunch of them at the Peddlers Mall in Middletown.) Simply choose a basket that you find visually attractive. If the basket has holes on the larger side, line it with newspaper prior to adding your potting soil. This will keep the soil from spilling out but will still allow for proper water drainage. Wooden crate boxes could work well too. The possibilities are endless! Tip #4: If you are going to take anything away from this Container Gardening 101 article it would be this: WATER. WATER. WATER! Because your plants won’t have the moisture-rich ground to soak up excess water, it is very important to keep your pots’ soil moistened. During the hottest summer months, daily water is a necessity. If you can squeeze in time to water during your morning routine, that would be most beneficial for the plants. It’s much easier for them to soak up water during the hottest part of the day when they need it rather than recovering from the heat with an evening watering session. If it just isn’t doable for you, don’t worry. Just be sure to give them a drink daily! As you can see, container gardening can be much easier to master than you might think. As a beginner, start small. As your plants grow, so can your garden. Just a few vibrant colored flowers can change the entire feel of any outdoor space. Whatever sized area you are working with, gardening in containers can work for you! 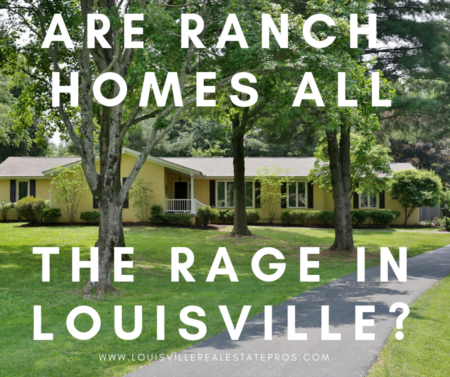 Looking for a Realtor in Louisville, KY? 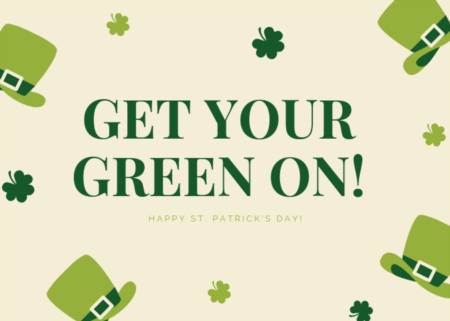 Contact Pam Ruckriegel with The Louisville Real Estate Pros at Keller Williams Realty Louisville East at 502-435-5524.